The “Image Gently” campaign produces a variety of learning sessions that cover topics including: reducing pediatric radiographic exposure, reducing pediatric and adult fluoroscopy exposures, appropriate nuclear medicine dosage and reducing CT exposure. The “Image Gently” sessions are designed to meet the training needs of physicians, BERP staff and inspectors, NYS licensees, and local public health staff. Provide training to physicians on methods to reduce patient radiation exposure from imaging studies and communicate risks and benefits to patients and their families. Provide training to the Bureau of Environmental Radiation Protection (BERP)’s staff and inspectors. Hold workshops to educate NYS licensees on radiological policies and regulations. Obtain more information on Image Gently or Image Wisely directly from their website or from the NYS Department of Health. Health care facilities or practitioners can send an email to berp@health.ny.gov for packages of pre-printed handouts and imaging record cards. 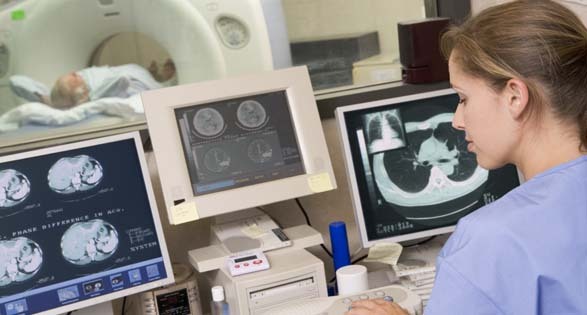 The use of Computer Tomography (CT), fluoroscopy and nuclear medicine diagnostic studies has increased over the years, making it the single largest contributor to the radiation dose of the population of the US. Many physicians get very little training in the effects of radiation and many not be aware of the health risks. The “Image Gently” webinars are designed to provide information to physicians on radiation topics including; radiation exposure to children, CT scanning, and radiology safety. To ensure public radiation safety, regulators need to have a clear understanding of operation procedures used in new medical radiation equipment and consider mechanisms to minimize radiation dose and prevent over exposure of patients. The in-person training will provide outreach to communities involved in radiation therapy and/or industrial use of radioactive materials. It also provide an opportunity for licensees to understand policies and regulations.